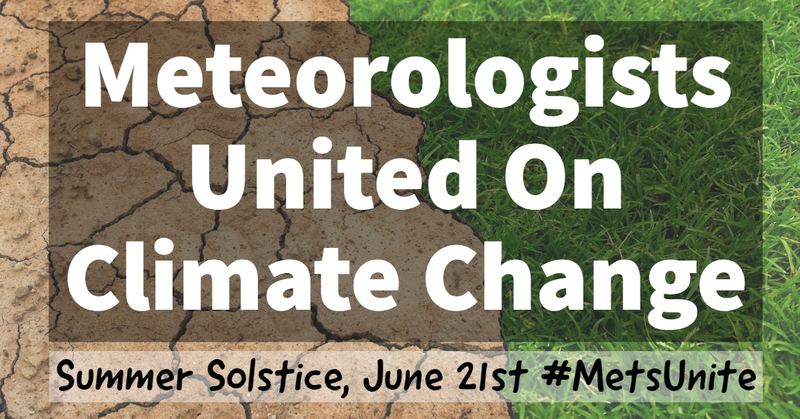 Join your fellow meteorologists from around the world on Thursday, June 21 as we send a united message on climate change: It’s real. It’s us. It’s serious. 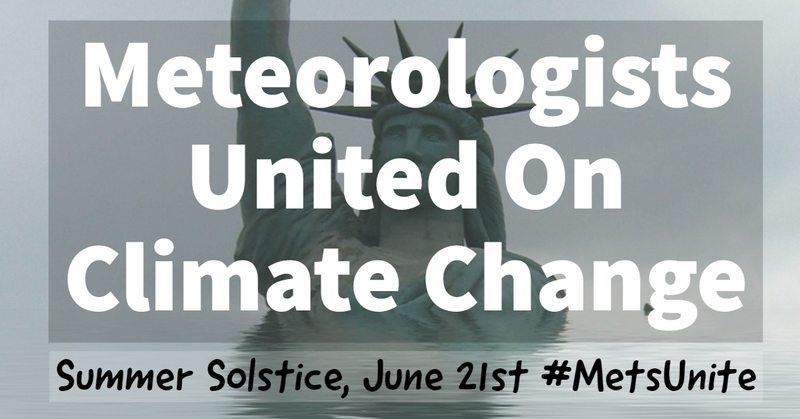 As expert science communicators it is our job to frame the climate change message in a clear, simple and memorable manner. 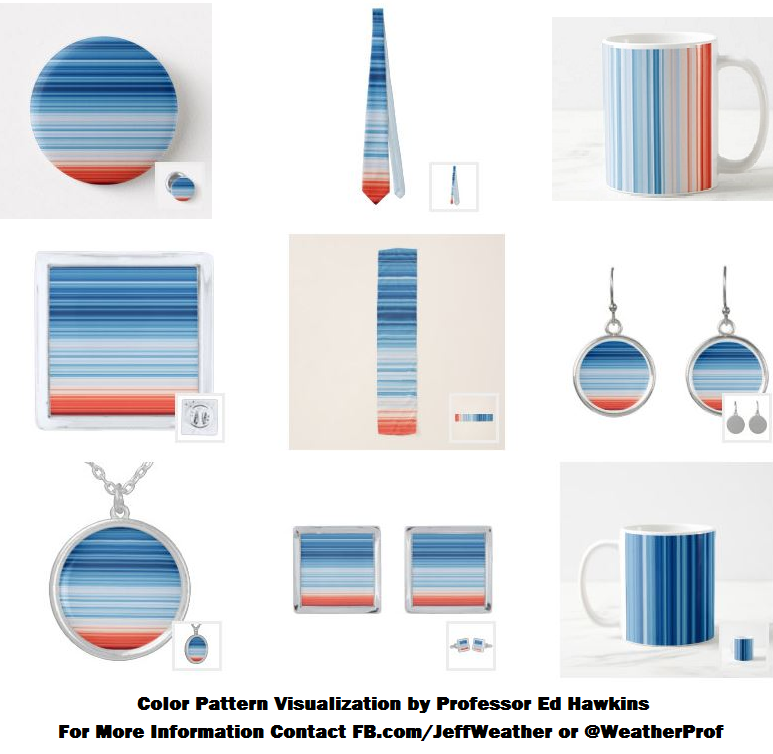 There could not be a more simple message than the “Warming Stripes” visualization created by Professor Ed Hawkins, University of Reading, UK. Each stripe represents the yearly global temperatures from 1850 to 2017, clearly showing the trend from blue (below normal) to red (above normal). If you are willing, please purchase and display one of these items for your audience on TV or social media as a powerful reminder that humans are a force of nature! This is strictly a non-profit initiative, with any royalties being used to send a limited number of items to those with limited funds who would like to participate. In order to receive the item in time you will need to order at least a week prior to June 21. Thank you in advance and please contact me (jeffweather@hotmail.com) with any requests or questions. 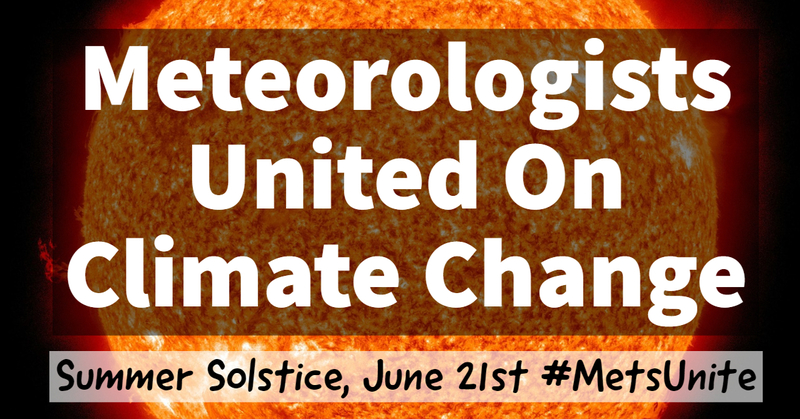 Below you will find images you can use to help promote! !